A few weeks ago, in my blog post called “There’s Something About Tomatoes,” I pondered what it is about tomatoes that attracts gardeners so much, while the commercial varieties seem to repel us almost universally. As it turns out, I’m not the only one who has been thinking about this. Just last week, on the National Public Radio show, “All Things Considered,” journalist Dan Charles pondered the same topic. In case you missed it, here’s a link to the segment entitled “How The Taste of Tomatoes Went Bad (And Kept On Going).” If you are able to listen to the audio, it is well worth the five and half minutes it will take you. If not, you can read the transcript at the same link. Interestingly, I have been reading a book on the same subject. The book, written by Arthur Allen, is entitled Ripe: The Search for the Perfect Tomato. I haven’t finished the book yet, so I’m not ready to post a review of it, but I’m curious: have any of you read it? If so, what were your thoughts? I’d love to hear from you! 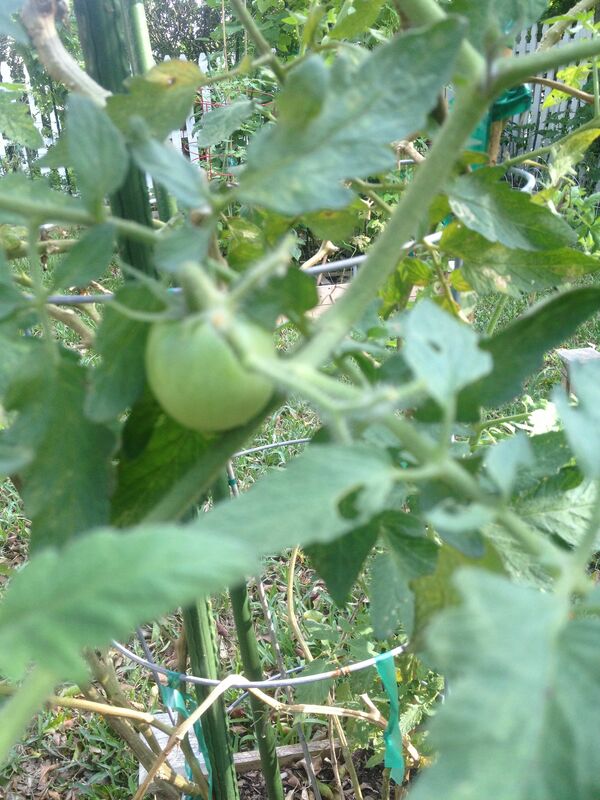 Meanwhile, I have lots of beautiful tomato vines in my garden, but only two lonely fruits waiting to ripen. Although I hate to wish time away, I’m anxious for the hot days and warm, muggy nights of summer to fade into the past so I can get my fall garden in the ground with a whole assortment of heirloom varieties! I‘m sure it’s safe to say that no one has ever mistaken a tomato for Cameron Diaz. Nevertheless, it seems that gardeners are drawn to tomatoes the way all the male characters in the movie were drawn to Mary when Ms. Diaz starred in the title role. So, what is it about tomatoes, anyway? Perhaps it’s the endless selection of tomato varieties available to the home gardener. Just thumb through any seed catalog, and you’ll see an assortment of reds, pinks, oranges, yellows, greens, and purples, not to mention the multi-color varieties. You will also find varieties that produce fruits ranging from grape-sized to softball-sized, with everything in between, and you will see that they come in different shapes — round, oblong, squat, irregular, plum shaped, tear-drop, and so on. Or perhaps it’s the taste we all recognize, but that none of us can quite describe. What is it, after all, that makes one tomato taste more “tomatoey” than the next? Or perhaps it’s the way tomatoes from the garden always seem to have more of that whatever-it-is than tomatoes from the store. Or perhaps it’s the myriad ways they can be consumed. They can be eaten raw — as slices, wedges, or whole. They can be made into a salsa, a sauce, or a paste. They can be stewed, roasted, or sautéed. They can be put in a salad, on a salad, or under a salad, or they can even be the salad. They can also be a key ingredient in soup, chili, stew, gumbo, cioppino, paella, bread, bruschetta, sandwiches, pasta dishes, and of course, tomato aspic. But what is it about tomatoes that compels us to grow them? They are not the most challenging plants to grow, but they’re not particularly easy, either. They can be killed by a light frost, and if it gets too hot, they quit producing. They don’t like to be overwatered, but don’t do well in a drought, either. They can also be heavy feeders, as long as you don’t over-fertilize them. On the other hand, they are relatively easy to start from seed. They also transplant rather easily. And for those of us who like to save seeds, that part is pretty easy, too. In fact, it is the ease of seed saving that has helped people develop so many varieties over the years. 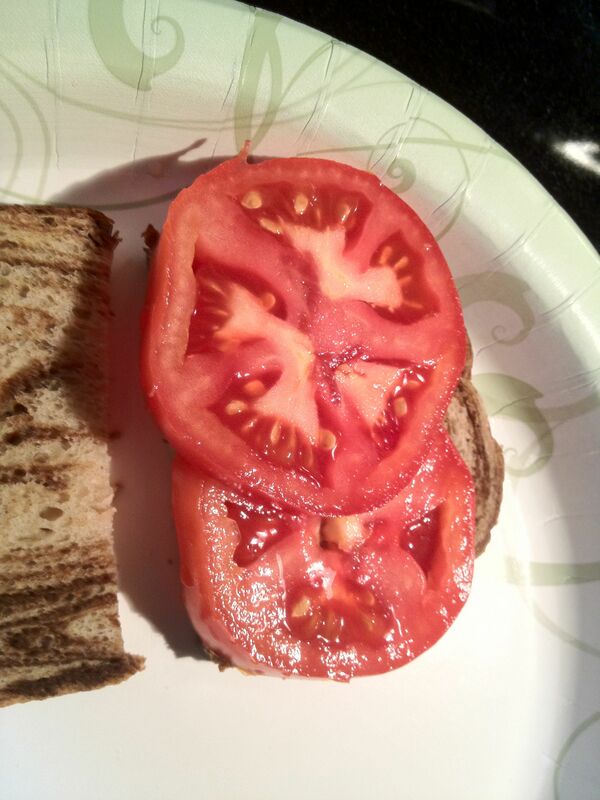 Red Beefsteak – this is a type of tomato that I remember from my childhood. It fairly reliably produces a steady stream of large, round, red fruit with a little bit of ribbing here and there to give them a slightly irregular shape. I bought one plant last summer at one of the big box store garden centers, transplanted it right away, and then nursed it all the way through the winter. I also have one of these that I started from a cutting a few weeks ago. Super Sioux – this is a relatively new heirloom variety developed as a strain of Sioux tomatoes. It is a very prolific producer of red, round fruits, but they vary widely in size, ranging from cherry-sized up to about 3-1/2 inches across. 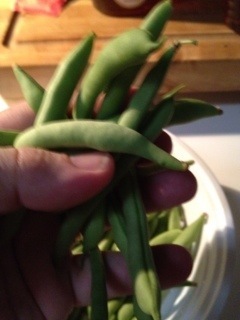 My stepson has been growing these for a few years. Last year, he gave us some tomatoes from his garden, and I decided to save some of the seeds. I have several Super Sioux vines, all of which originated from those seeds. One of the plants survived the winter and is still producing. Better Bush – this is the only hybrid I have, and I only have one specimen. I bought it when I bought the red beefsteak, largely because it is supposed to do okay in Florida’s hot weather. As with the two varieties above, the Better Bush that I have survived the winter. It has produced some fruits, but there’s really nothing remarkable about them. The taste is mediocre, and they’re of rather ordinary size and appearance. I am not trying to propagate it, and I won’t be getting another whenever this one dies off. Brandywine, a.k.a. Red Brandywine – this is my first time growing the Brandywine, which is said to be one of the best tasting tomatoes around. The variety was commercialized in 1889 and was named for the Brandywine Creek in Chester County, Pennsylvania. The fruits are red and should average 8 to 12 ounces. Brandywine (Suddath’s Strain), a.k.a. Pink Brandywine – another first for me, this variety was commercialized in 1980 after being grown by a family named Suddath for about 100 years. The fruits for this one are pink and weigh in at a hefty 2 pounds each. Riesentraube – yet another first for me, this is a variety of grape tomatoes imported from Germany. In fact, the name translates as something like “giant bunches of grapes.” The variety was first introduced commercially in 1994. For my fall garden, I will be adding three more new (to me) varieties for which I already have the seeds: Amish Paste, Large Red Cherry, and Lemon Drop. You can probably guess which one is yellow. Well, actually, it is described as “translucent yellow-green.” Well, enough about those; all I have so far are the seed packets. I obtained the seeds for each of these new varieties (as well as the background information on each one) from a non-profit organization by the name of Seed Savers Exchange. This is a really great organization dedicated to preserving the genetic diversity of heirloom and open pollinated seeds. They are involved in seed production and sales, research, and education, and they coordinate a very large seed exchange network among members. At latest count, there are about 13,000 different varieties available through this network! As for the ones I obtained, they were purchased through their retail catalog, and all the seeds had good germination rates. Here’s hoping the plants produce just as well!